The School of Engineering is consistently in the top ten of all UK league tables, including the Guardian University Guide 2019 and The Times and The Sunday Times Good University Guide 2017 under ‘General Engineering’. Flexibility is the key to our accredited courses, which can lead to Chartered Engineer status. Covering automotive, civil, electronic, manufacturing, mechanical, and systems engineering, together with business, you will gain a solid general engineering background before specialising in your chosen area. We are delighted to announce the launch of two new School of Engineering Postgraduate Taught Scholarships for entry in 2019. 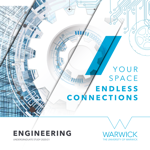 A 10% fee discount for graduates of the University of Warwick who progress onto a postgraduate taught course in the School of Engineering in 2019. This discount is available to all eligible students who progress onto one of our MSc degrees, regardless of their previous subject of study and whether or not they have had a gap in study. Students do not need to apply for the discount. If a student is eligible, the discount will be applied automatically to their fees. The School of Engineering will award up to 20 scholarships of £1000 to students commencing study on a postgraduate taught course in 2019. This scholarship is a merit-based award, available on a competitive basis and awarded as a merit payment. To be considered for the scholarship, applicants are required to hold an offer for admission and submit a scholarship application form by 30 April 2019. 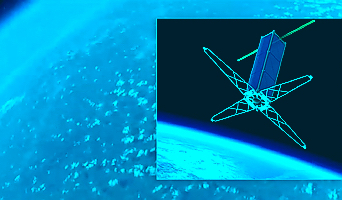 WUSAT is the University of Warwick Satellite Engineering Project. Every year, a group of fourth-year MEng students from the School of Engineering work together on the next stage of the project. 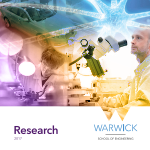 Our academic and research staff work with industry and partner organisations to conduct enquiry-driven, fundamental and pioneering research. We strive for significant impact to make the world a better place.